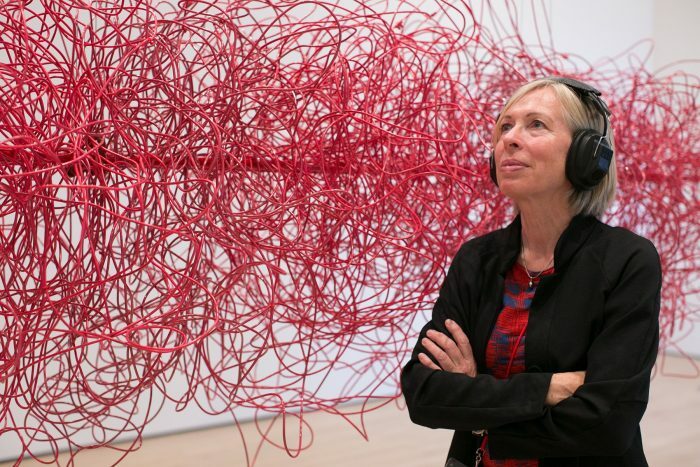 Apo33 presents the work of the German artist Christina Kubisch (born in 1948), who has been exploring the sound potential of the electromagnetic fields generated by our urban and technological environment since the 1970s. The exhibition is organized around the work Cloud (“work in progress” since 2011), offering listening to imperceptible waves to the naked ear and questioning the relationship between the visible and the audible. Exhibition co-produced with Le Bon Accueil (Rennes), festival ]interstice[ (Caen), APO33 (Nantes). Opening Friday, June 28 at 18:30 at the Intermédia Platform.